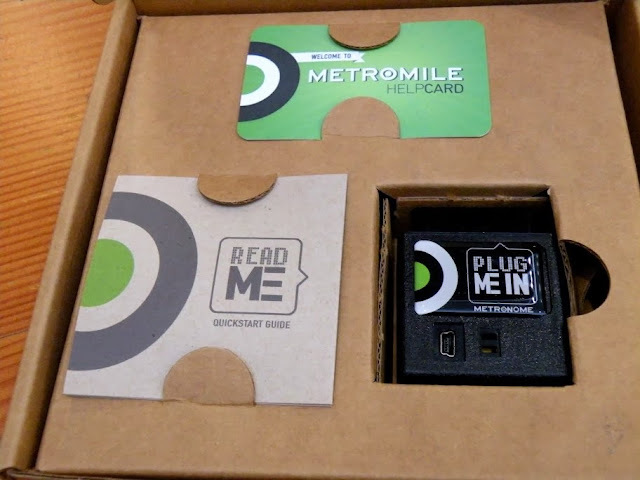 I'll start off by saying that I am in no way affiliated with MetroMile. My car insurance policy was up and I had been seeing ads on Facebook for MetroMile, so I signed up for an online quote to see what it was all about. It kind of sounded too good to be true - car insurance at a low monthly rate, then an additional per-mile charge on top of that. Since I've moved to Portland I drive my car only a couple of times a month, almost always for running errands for work, and it was killing me knowing I was paying Geico top dollar for insurance when my car was parked in a secure garage for 99% of the month. I got a quote, liked the price (I pay a very low monthly fee plus around six cents per mile driven), and signed up. Within two days I got my welcome kit in the mail. I love that I was able to change insurance with no human interaction required! MetroMile monitors your mileage driven with a little thingie that you plug into the diagnostic panel of your car (they call it the Metronome - cute!). With some makes of car this means that you have to keep the panel door open, which would be awful in my opinion. Thankfully in most cars you can plug in the Metronome and you don't even notice it. I didn't think to check the location of my diagnostic panel before signing up. Fortunately the Metronome was pretty small. 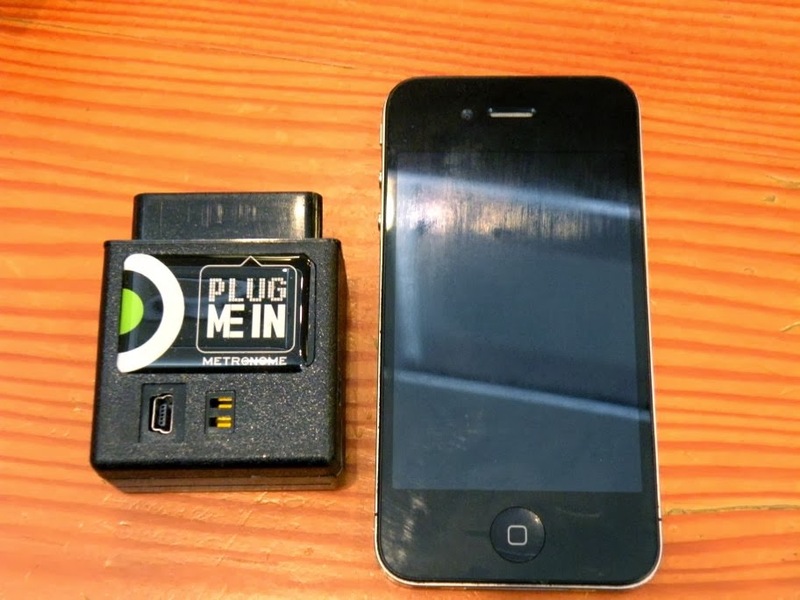 Here's the Metronome next to an iPhone to give you an idea on size, it's not huge. 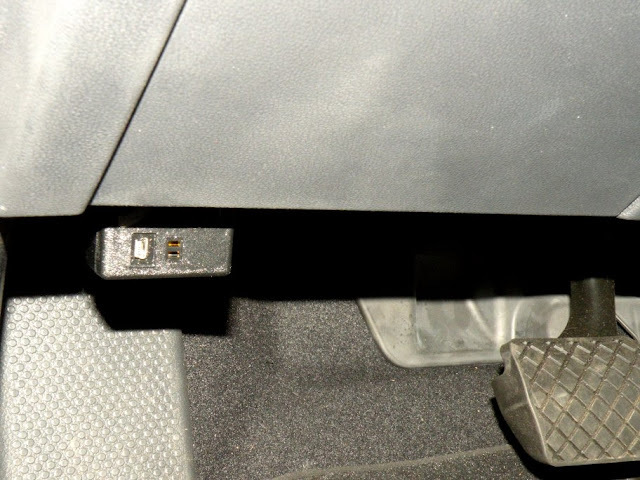 I got SUPER lucky in that my car's diagnostic outlet is positioned in such a way that I didn't even have to open the panel door in order to plug it in (because let's be honest here, there's no way I would have figured out how to do that). The Metronome is only visible to me if I crouch down on the ground, which I can't see myself doing, so it's a perfect fit! 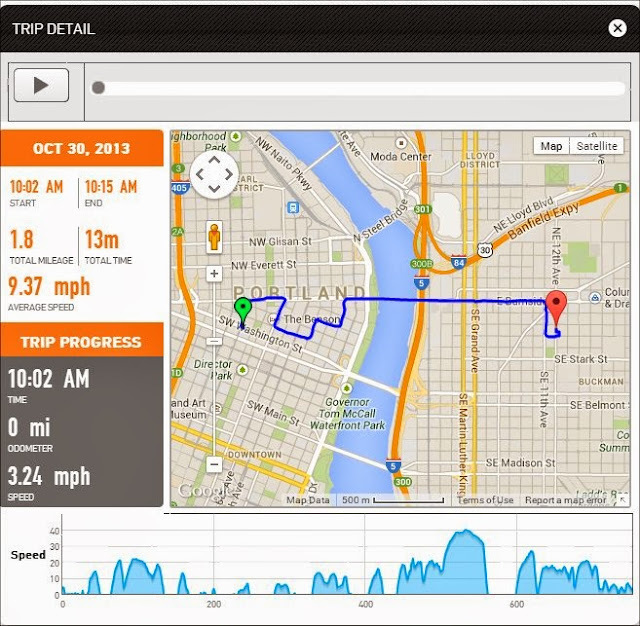 The coolest thing about MetroMile (besides the price, obviously) are these little charts that you can look at. They show your route and your speed for all of your trips (for those of you concerned about Big Brother watching you, you can turn off the GPS function). This diagram gives me road rage because it reminds me that the road was closed for five blocks and I had to take the WORST DETOUR EVER, but I digress. I like diagrams and charts, and MetroMile's website has plenty of both. For now I'm a big fan, and the $35 a month I'm saving on car insurance doesn't hurt either. 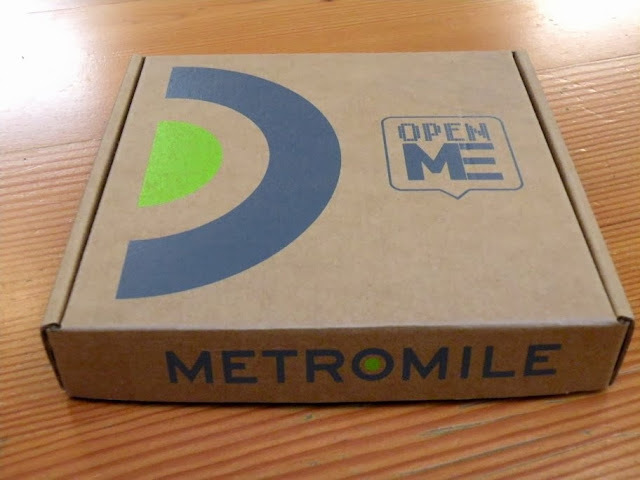 If you're interested in checking them out, their website is www.metromile.com . Insurance companies have already toyed with the idea a lot. I worked for an insurance company that had something related. There were two big issues from my point of view: (1) consumers don't like them very much and (2) back then the devices were too expensive (including a trustworthy installation) to make economic sense. However, I think there's a good shot that consumers will take them up now that the devices are cheaper and there's more savings involved. A lot of consumers will still hate the idea. But if enough low-cost consumers start accepting them, then the cost of insurance for people who don't accept them will spiral upwards until most people have them. I currently insurance with 4autoinsurancequote.com for just $33/month laibility, so I'll stick with that for now. No need for metromile yet. This is pretty awesome if you don't drive a lot! Back when I only drove like 200 miles a month this would have been perfect for me.